Hannah is a technical writer for the VMware End-User Computing technical marketing team. VMware Workspace ONE UEM 1811 is now available! This release’s highlights include: app updates, and new macOS, Android, and Windows 10 features. Go from 0 to IT hero with the Workspace ONE Activity Path, only on VMware TechZone. The PPPC payload for macOS now allows multiple Apple Event permissions per identifier. This means you can group all applicable preference permissions under a single parent Bundle ID or Path Identifier for a more streamlined management experience. From a functional perspective, the PPPC payload behaves the same as before. Additionally, you can surface details about the SIM currently installed in each iOS device using the new Mobile Country Code (MCC) and Mobile Network Code (MNC) keys. 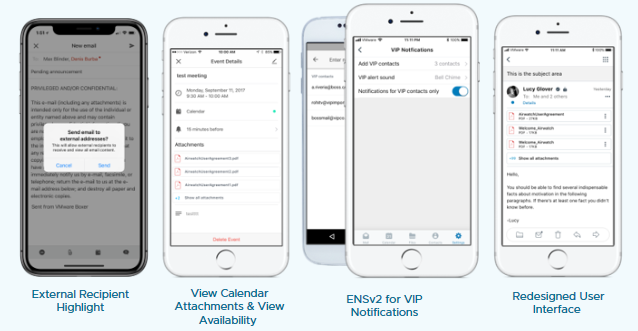 Once enabled, these details display on the Network tab of Device Details View to help you manage connectivity and/or integrate with mobile security partners. The network profile payload now supports multiple ethernet interfaces. Previously, Workspace ONE UEM targeted only the first active ethernet interface. This update allows you to target different 802.1x configurations to different interfaces. Alternatively, you can select ”Any Ethernet” to apply the configuration to any active ethernet adapter, regardless of adapter order. A new, wizard-driven UI simplifies factory provisioning – creating both the configuration file and the PPKG in one simple step. Provides admins the ability to collect logs from managed Windows 10 devices without having to physically access the device. You can choose to collect Hub or System logs, which includes logs on Software Distribution, Provisioning Agent, Intelligent Hub, PC Refresh, MDM and System Event Logs, and other environment data. This allows you to quickly troubleshoot remotely. Possible use-cases include validating app or profile pushes, or even if the Enterprise Reset occurred successfully. 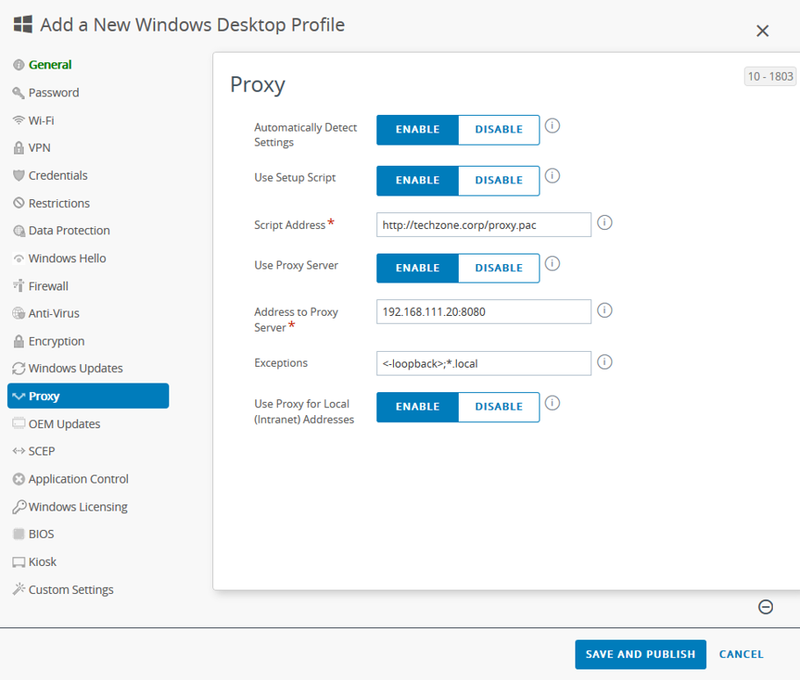 This new payload enables you to configure a proxy on the device without using custom scripts or GPOs. Use this payload to configure a proxy server for ethernet and Wi-Fi connections on Windows 10. 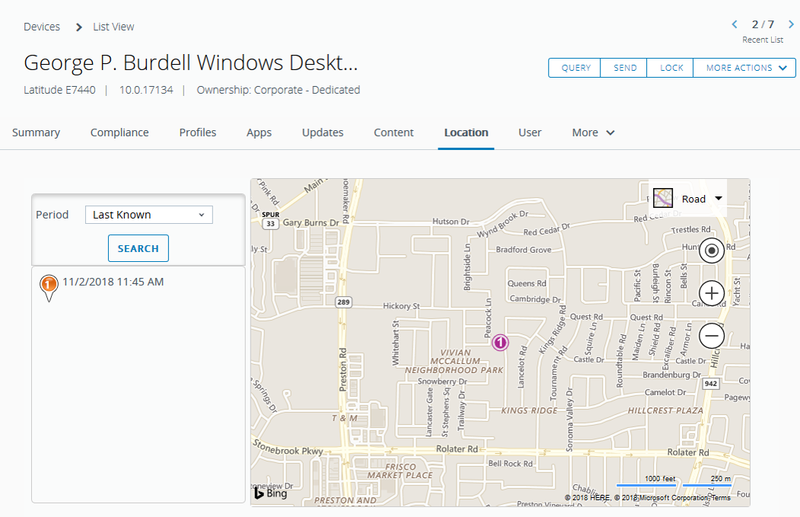 Now, with native location tracking support, you can view Windows 10 location information OMA-DM samples. This functionality adheres to all privacy settings, supports breadcrumb location tracking, and data sample scheduling. 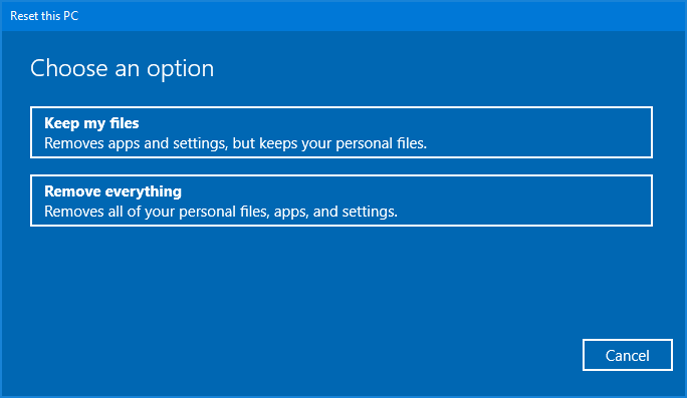 Enterprise Reset is a new device wipe option for Windows 10. When a device is corrupted or has malfunctioning applications, an Enterprise Reset restores a device to a Ready to Work state. This reset re-installs the Windows OS, but preserves user data, user accounts and managed applications. After the reset, the device re-syncs auto-deployed enterprise settings, policies, and apps and remains under Workspace ONE management. This means you can reset or refresh devices, without requiring re-doing the entire enrollment and onboarding process. Requirements: Windows 10 version 1709+. A new integration with Flexara means you can export applications directly from the Flexara AdminStudio Catalog to Workspace ONE UEM for distribution. This means you no longer have to manually repackage apps. 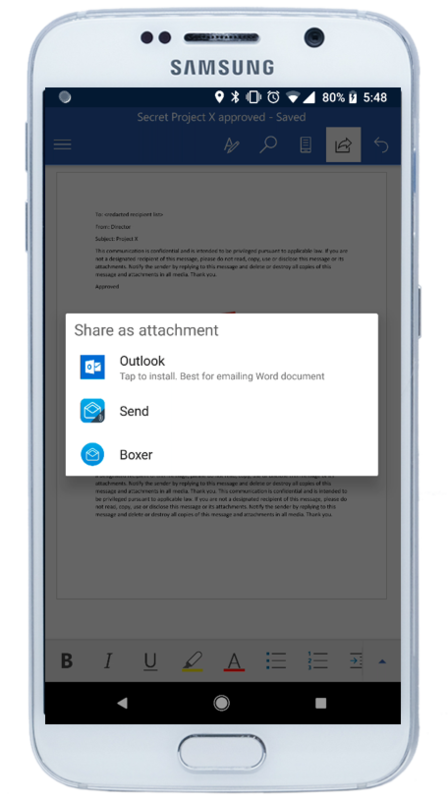 Workspace ONE Send provides secure opening, editing and sharing for Office 365 files managed by Intune between Workspace ONE and Office 365 mobile apps. Now, Workspace ONE Send also supports VMware Content. New plugins for Xamarin and Cordova now include support for iOS 12 and Xcode 10. 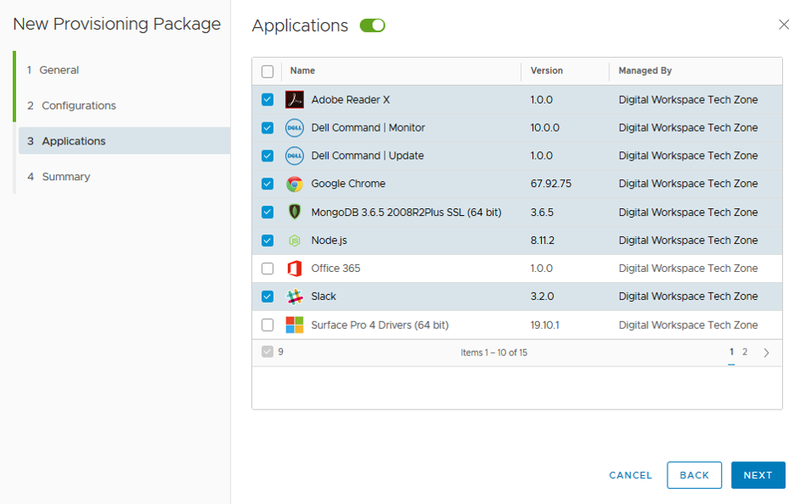 VMware Workspace ONE SDK for Android v18.8 (Xamarin ONLY) VMware Workspace ONE SDK for iOS (Objective-C) v5.9.8.2. Now, you can manage auto-updates for public Android applications, and schedule when updates occur.